The phrase “Armor of God,” has been ingrained into the Mormon culture ever since I was a deacon and it probably goes back many generations. With all the wars found in the Book of Mormon, battle armor provides the perfect analogy for protecting ones self from the spiritual darts of the adversary. 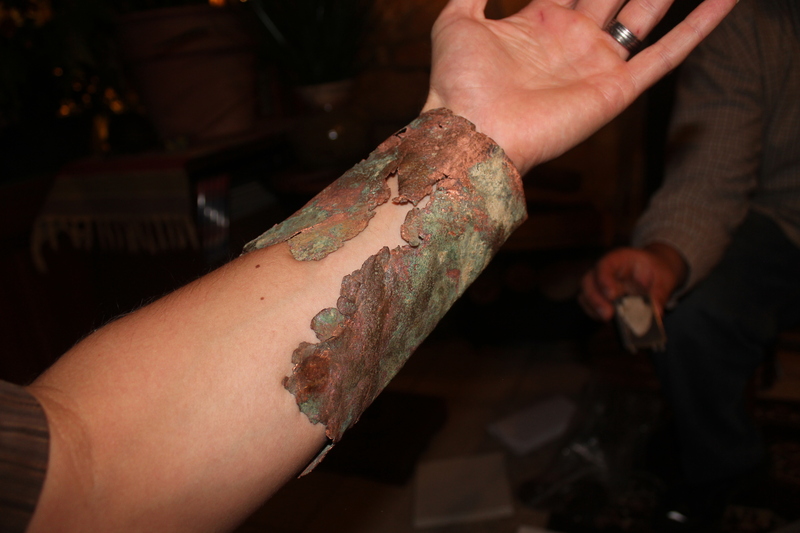 But, what if you had the chance to put on the literal armor of the Nephites? How cool would that be? If this is in fact the area opposite of Zarahemla, it was once the capital of the Nephite nation and as such was the site for many bloody battles over the centuries. Battles that included the use of iron and copper among other ores. 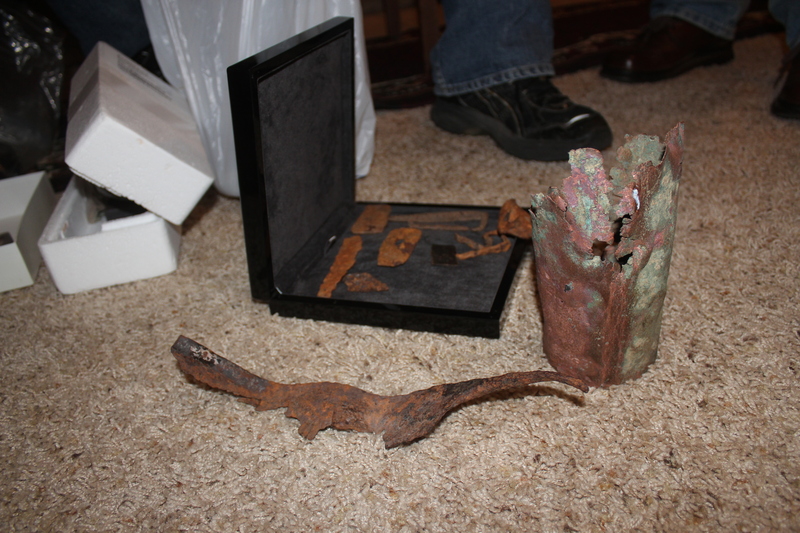 Daniel’s wanderings have found these artifacts that support what you’d expect to find in the land of Zarahemla. 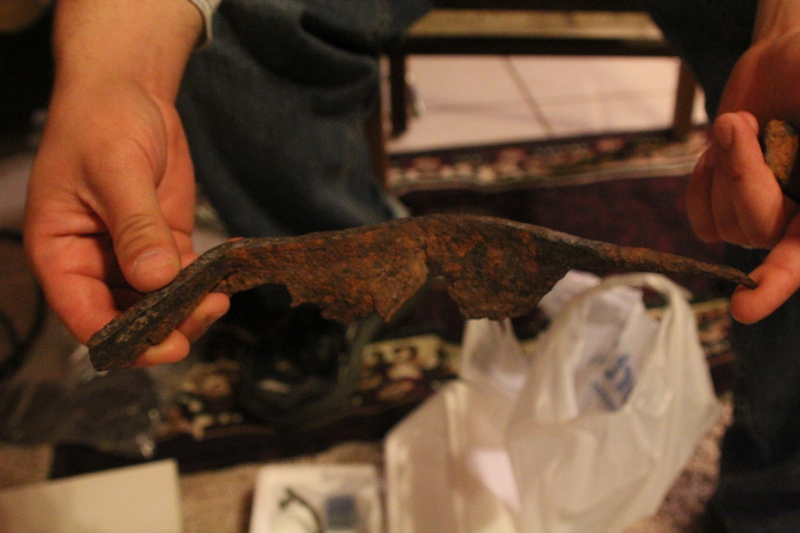 But, the most compelling artifact is this copper arm band he found laying in a creek bed. The armband was not designed for a large person. I am 5’11” 175 lbs and it fit me perfectly. It’s mind blowing to think that I am one of the first to wear this piece of Nephite armor in over 2,000 years. There are many accounts of the Nephite warriors being large set. I am not large set so it leads me to believe that this armband was fashioned for a smaller or possibly younger person. And, that leads me to speculate on the possibility (however remote) of this armband belonging to one of the stripling warriors. I know this is a stretch to say the least, but just the possibility is really exciting. This account challenges us to put on the armor of God and defend the cause of Jesus Christ just as the Nephites put on their armor in defense of their liberty. 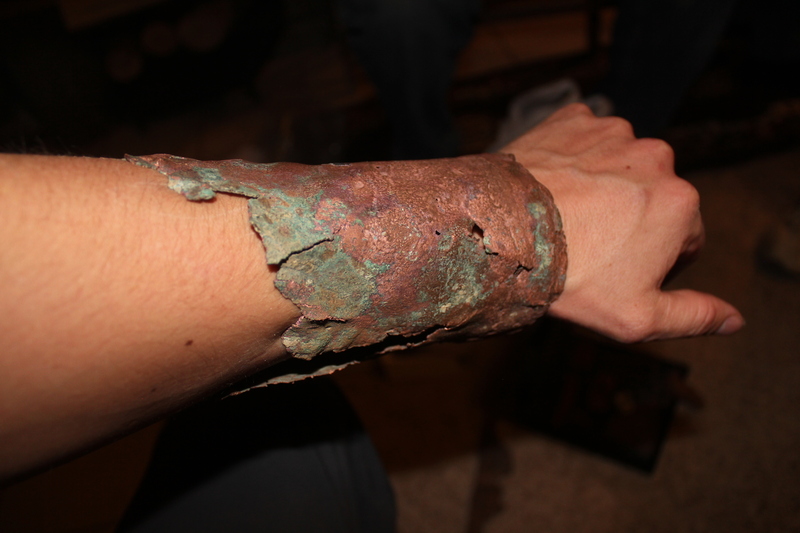 This copper arm band, this piece of Nephite armor, is a testimony that the fight is real and has been waging for thousands of years. A fight that is both spiritual and temporal. That the Nephites we’re blessed with the technology needed to protect them from their enemies. And, it is a reminder to me, that if we are righteous, we too will be blessed with the protection we need to uphold our liberty. For me, the phrase, “putting on the armor of God,” has taken on new meaning and become more personal than ever before. This artifact along with others will be on display at a new museum opening up in Nauvoo this coming spring. Thanks to Daniel Lawson for sharing these exciting finds. I have some fascinating papers of the remnants left from inhabitants in north america. they mostly discuss the bones found during the building of roads etc. The description sounds Jaredite. That sounds very interesting, are any of your papers online where I could check them out? Has the arm band been carbon dated? No, metal can’t be carbon dated, only organic material so we will probably never know if it could be from Nephite Times…..
Just watching a documentary on Ancient Rome – amazing what we still know about it – oh yeah, and it STILL exists… the language, culture, everything confirmed. Ancient America? Lol. Give it up. Only by deciding a priori and ONLY looking for evidence that supports your religious conclusions could you waste so much time and energy doing mental gymnastics to prop up something so patently un-true as BOM history – it simply does NOT exist. “Patently untrue as the BOM?” Well, let’s look at who is denying evidence to support their belief. that it is not true. There is already too much evidence to support the BOM. 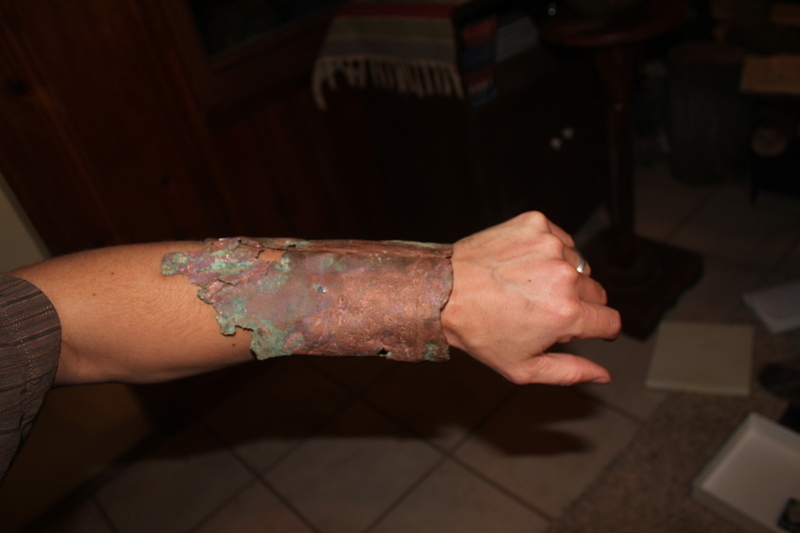 I love this find – this arm band of Michigan float copper, which has a chemical signature distinct from copper found anywhere else on earth. Only in North America; only from that part of North America with so many “seas.” Truly a land of many waters. Just wondering, as I would be interested in visiting the museum you mention, does David Lawson and other contributors also provide documentarion to evidence their findings (such as dated pictures of each find in situ before removal with something to evidence size, GPS coordinates, descriptive journal entries of the find, etc)? Whether other archeologists, historians, Smithsonians or anyone else ever believes that these finds could evidence the Book of Mormon, those who find the evidence need to document! And Ryan, thank you so much for your terrific life’s work. 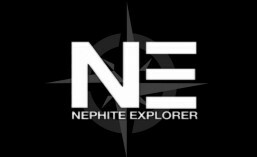 Any chance Nephite Explorer might return to television? Where these finds ever registered with State and Fed Archeological Institutes? 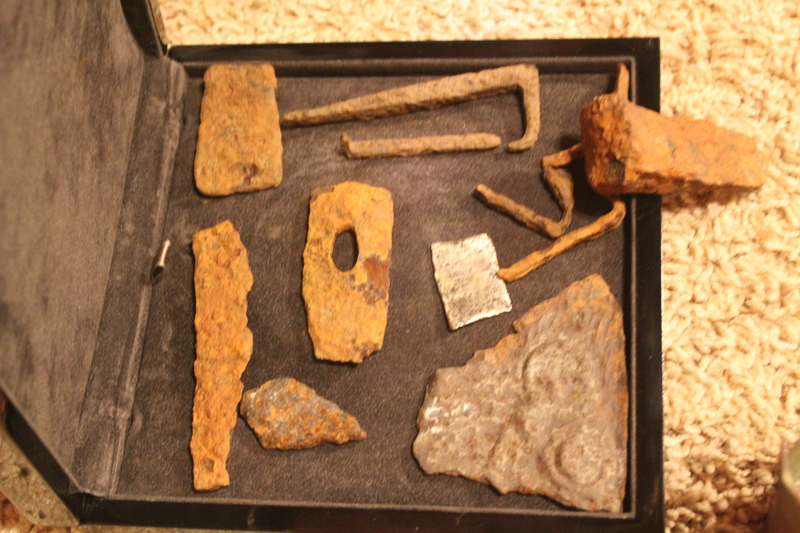 I would love to study the area of these finds. Note, we cannot just lift historic artifacts out of the sites – one may miss other great finds. BOOKSTORE – SEASON 4 NOW AVAILABLE!